Planning a trip to Disney World can feel like an overwhelming task. Sure, it's fun and truly makes everyone's dreams come true (it's the happiest place on Earth, after all), but getting there and feeling like you're getting the most out of your trip can be anxiety-inducing. 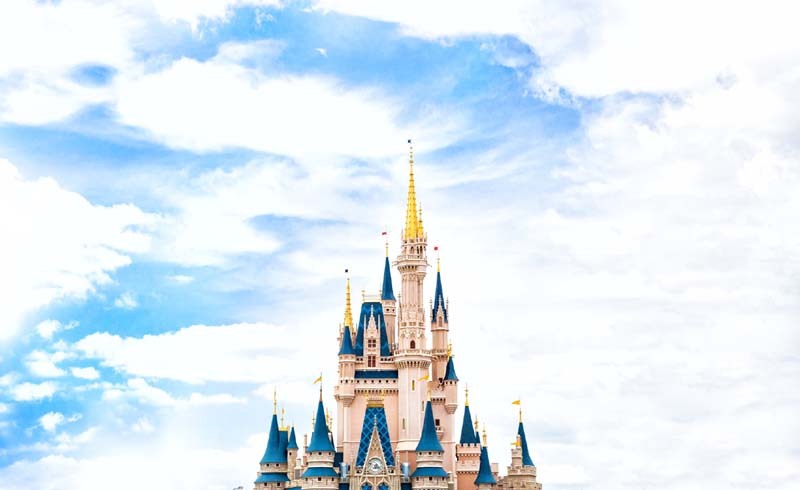 There are a million tips out there for how to plan a Disney vacation the right way, but trying to incorporate all those tips might just increase your stress levels more than assuage them. So, from a mom who's been there, here's the one and only hack you really need to make your trip to Disney World as unforgettable as you hope it'll be: focus on booking three things — lodging, dining, and FastPass+ — as early as the park will allow; then let the rest go. As my mom reminded me before my daughter's first trip to Disney, "If you go on three rides, it will still be the best day of her life." I agree, but getting on the rides she wanted, plus having a place to eat and sleep is kind of important, too. Here's the bare minimum of what you need to stress about to make your trip as magical as possible. Focus on these three things, and you're golden. 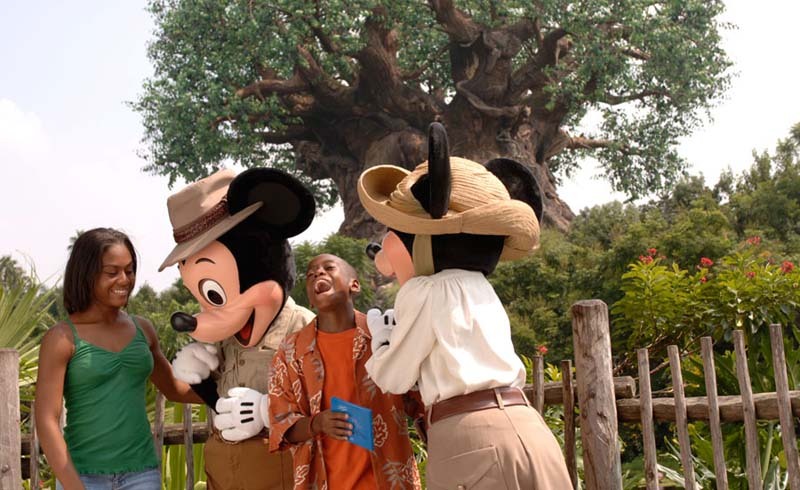 Start researching your Disney resort options as soon as you know you're planning a trip. There are so many places to stay within Walt Disney World at a wide range of price points that move depending on demand, so do your research to find the right spot for your family. If you're booking your lodging online, you can't do so until Disney releases the next year's rates, which is usually in August of the previous year (for example, if you're going in February 2019, you won't be able to book until August 2018). However, you can call Disney before that and make a room-only reservation. They will charge you for a single night based on this year's rate, and then automatically adjust your reservation once the 2019 pricing is released. At that point, you can also convert your room-only reservation into a Disney Vacation Package reservation, adding dates, dining packages, and discounted park tickets. You'll also be able to customize your complimentary Magic Bands through your reservation. You can reserve dining at all the Disney table-service restaurants up to 180 days in advance, which is a big win when it comes to planning your travels. The most popular restaurants — the Magic Kingdom's Cinderella's Royal Table and Be Our Guest (the only restaurant that serves alcohol in the park), and all character dining experiences in Epcot, Hollywood Studios, and Animal Kingdom — will book up quickly during high-traffic times, so book as soon as possible. Some restaurants will require that you pay for your meal when you reserve, but if you have to cancel later, they'll give you a refund. Your FastPass+ is your get-out-of-line free card for each park, so use them wisely. Each member of your group can book up to three Fastpass+ credits for each day, so you'll want to get the most out of them. Do some research into what rides and attractions are can't-misses for your group, prioritizing Fastpass+ for those with the longest lines. Then, try to book them as early as you can (30 days in advance, or 60 days for those staying at a resort hotel). The most popular rides and character meetings book up quickly, so mark your calendar. Be sure to read the FastPass+ fine print, as some of the parks (such as Epcot) have tiered systems that restrict the use of more than one Fastpass+ in a top tier (you will have to choose between Frozen Ever After and Soarin'), whereas others (like Animal Kingdom) may make you choose between certain high-demand rides (such as Avatar Flight of Passage and Na'vi River Journey). Also, be aware of the times you're booking for your FastPass+ credits, as well. Once you use all three FastPass+ in one day, you'll be able to book more while you're in the park, which means that if all your reservations are scheduled before early afternoon, you'll have plenty of time to score a couple more. However, mornings (usually before 11 a.m.) are the slowest time at the parks, so arrive early enough (take advantage of Extra Magic Hours if you're staying on the property), and you might be able to get on your favorite rides without waiting in line anyway. Strategy is key.